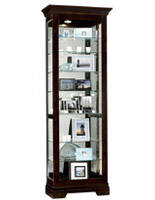 24" to 30" wide display cases are among the most versatile fixtures available for commercial, retail, professional, institutional and even residential display. 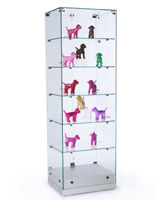 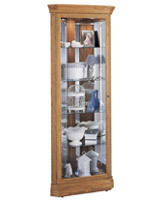 Available in a huge variety of styles, finishes and configurations, these narrow-width cabinets are a perfect way to draw attention to goods or collections. 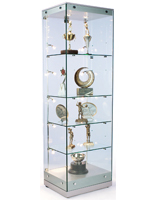 Case styles include simple square towers, eye-catching hexagonal designs, tall rectangular cases and stylish corner units. 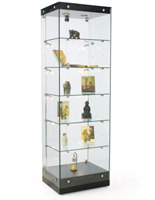 The majority of these accessories are designed for freestanding use, offering full visibility of contents from any direction. 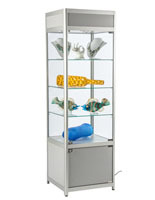 The use of tempered safety glass in these displays protects contents and customers alike, as the glass is impact-resistant and in the event of breakage will not shatter into sharp shards. 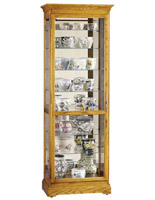 Adjustable shelving heights allow the widest possible variety of contents to be showcased, and interior illumination ranges from halogen top lights to track side lighting that runs the length of the unit. 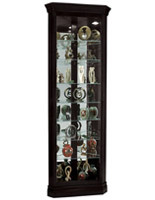 Locking door configurations allow the most expensive merchandise to be safely exhibited while remaining protected from damage or theft. 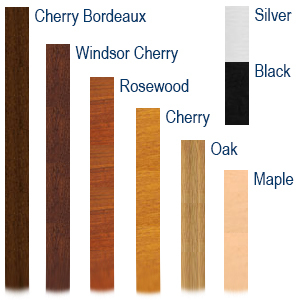 The various sizes and styles can easily be matched to any décor or environment. 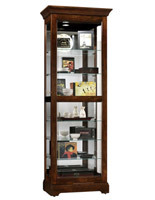 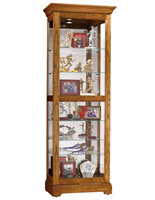 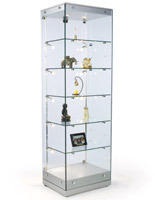 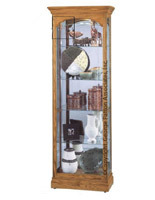 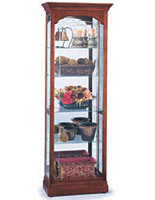 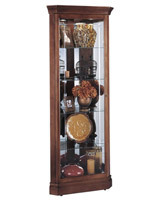 Modular safety glass frames with wheels that break down easily and come with a carrying case are ideal for off-site event use; classic wood cabinetry is a perfect choice for antique stores or collectible displays; sleek modern glass shelving with wood-finish framing can draw attention to goods from pottery to high-end electronics or jewelry — and that is only a fraction of the many uses of this type of display fixture. 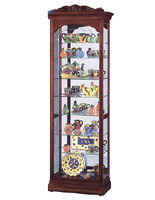 Many of these cabinets will also arrive fully assembled (some shipping out in only four days) for immediate use upon arrival. 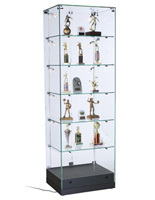 And as always, we offer full customer support, from live customer service assistance online or by phone to an array of setup and usage guides ranging from printable instructions to video demonstrations.